Committed to biblical preaching, Christ honoring music, and strong families. 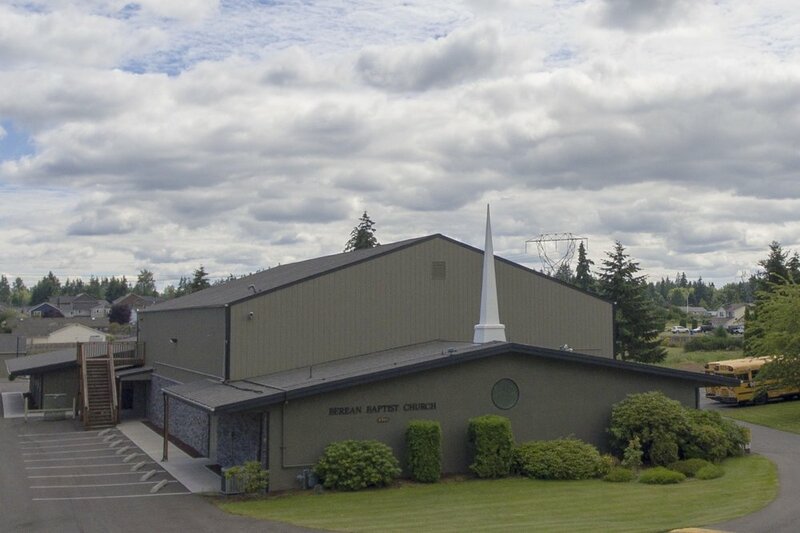 Berean Baptist is a Bible based, Family focused, Independent, Fundamental Baptist Church in Puyallup, Washington. We honor traditional values, uphold the Word of God, and endeavor to live out the grace and truth of Jesus Christ. We invite you to join us this Sunday, we would love to meet you! At Berean Baptist Church there is something for everyone, regardless of life stage. Follow the link below to find out more about who we are, what we believe, and how we have a place for you. Listen to recent audio sermons from Pastor Robert Reno, staff, and guest speakers. Our prayer is that you will be encouraged and challenged by the weekly sermons. the good news of the Gospel? Foundations Christian Preschool helps families nurture their child’s growth and develop a life-long love for learning through imagination, constructive play, and educational Christian programs. We are now enrolling three and four year olds for the next semester. Five year olds who are not attending kindergarten are also invited to register. If you have any questions or would like to enroll your child today, please call the office at (253) 841-4100 or email preschool administrator, Autumn Cleveland through the site contact form. If you are visiting the Berean Baptist Church website, but BBC is not your church home, we do not expect you to give. There is no obligation to give at any of our worship services. However, if Berean Baptist is your church home, or if the Lord has touched your heart about supporting His work here at BBC, we hope this tool will help you to abound in the grace of giving. Listen to recent Bible preaching messages from Pastor Bob Reno and guest speakers at Berean Baptist Church.